These magnificent birds are very common in the Lane Cove River Valley in , with a flock of about 100 regularly visiting. They are loud, proud and fearless birds. Being native Australian animals they are protected. They are found throughout much of eastern Australia. Their bright yellow crests are raised for display, when they are curious or when frightened. Unfortunately, they can also be extremely destructive. Balconies and window frames in the district have been destroyed when the cockies decide they are good to chew on, and many fruit trees in the district never produce a thing because the cockies have one bite of each fruit then discard it, as they are only after the seeds within. We have chosen this colourful bird as our icon because it is so very Australian and is a daily feature of our workplace. 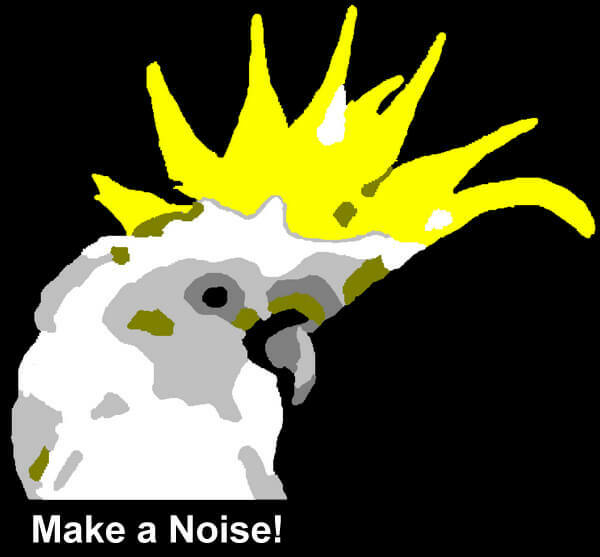 So go ahead - make a noise! Copyright Screeching Cocky Pty. Ltd.